Table of Miracles was installed at Intersection for the Arts in 2008. 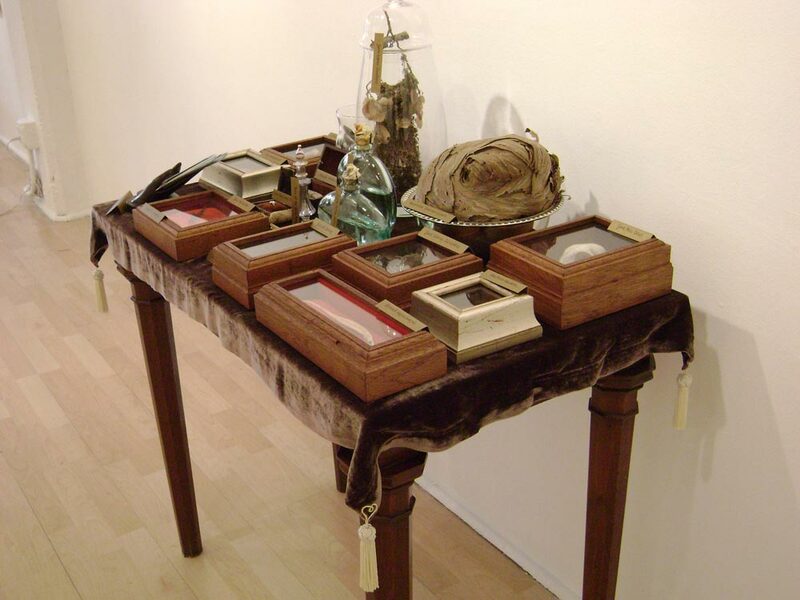 The reliquaries held items from the natural world collected over a period of twenty years, most from the garden. 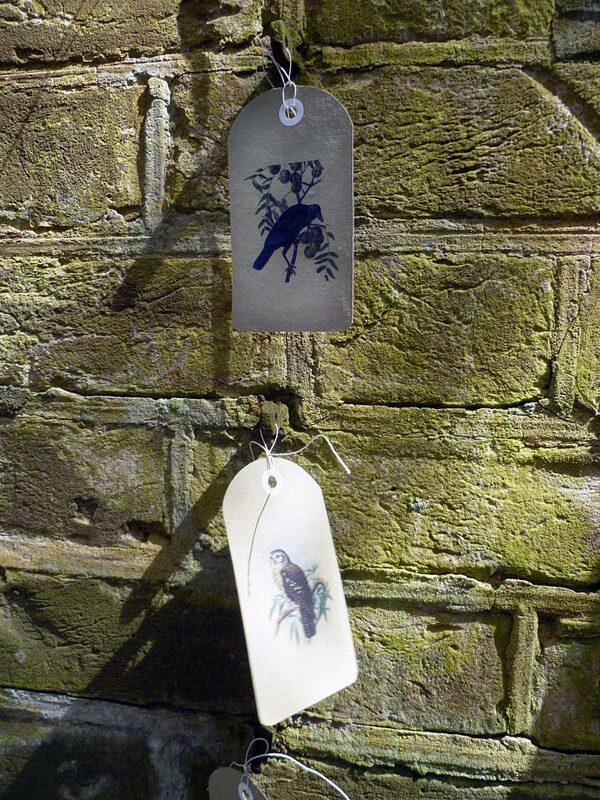 They include a bird’s nest, a wren, a dog’s tooth, a wasp nest. The poems on the accompanying prayer cards were written by Susanne Dyckman, Todd Melicker, Elizabeth Robinson, Jaime Robles, and Brian Teare. Eric Holub did the calligraphy. 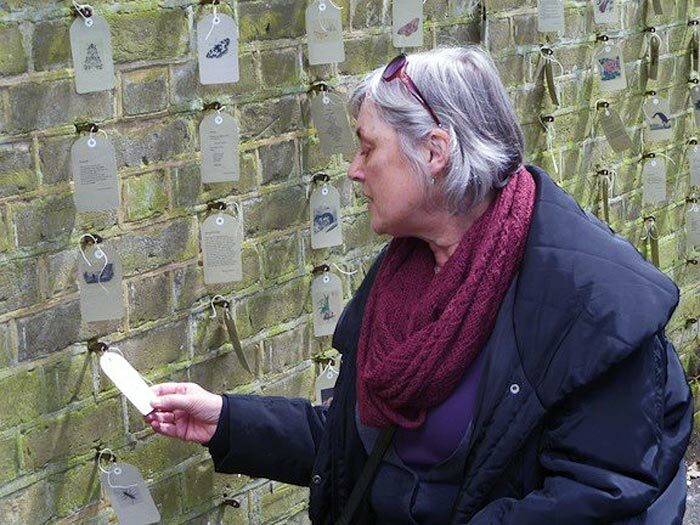 Wall of Miracles was the second site-specific installation on a wall on the University of Exeter Streatham campus in the UK (2013), and done in collaboration with Exegesis. Mike Rose-Steel and SMSteele juried poems submitted from North America, the UK, and Europe. Jaime Robles designed the cards, which matched the exhibition theme of elements of the natural world.